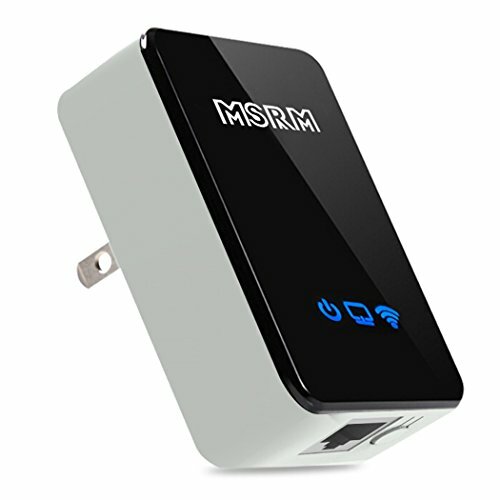 The MSRM US300 works seamlessly with all b/g/n Wi-Fi devices so you can connect all of the computers and devices around your home. For best performance, pair with any Wireless-N router. The MSRM US300 enables an device to wirelessly connect to a router with up to an stable and good data throughput-get a more robust and larger wireless signal range. Far surpassing the range of conventional wireless adapters, the MSRM US300 gives you a wireless stable signal range. Especially useful to enhance signal range of existing routers , msrm us300 extend your signal reach throughout multi-level houses or surrounding areas outside. Boost the Wi-Fi range and signal strength of your existing wireless network,eliminating Wi-Fi dead zones,and keeping your mobile devices connected as you move throughout your home.